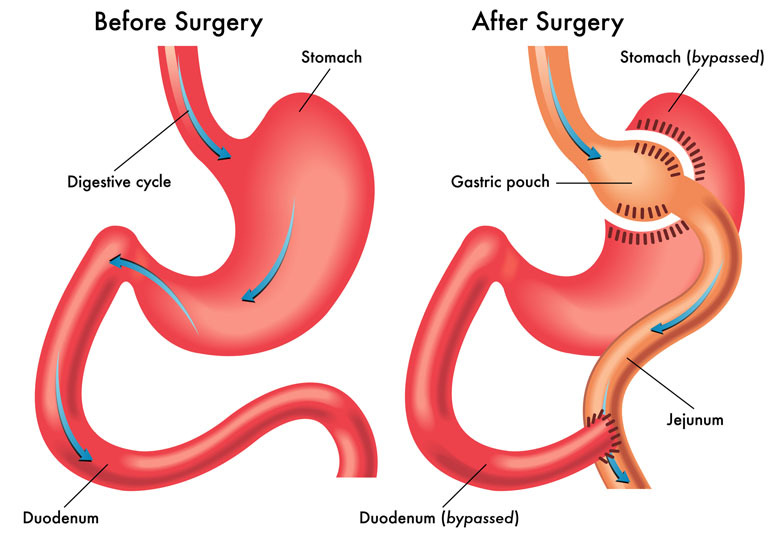 Gastric bypass surgery is a weight loss procedure that involves stapling of the stomach. This creates a small pouch that connects to the small intestine, allowing food to bypass most of the stomach. 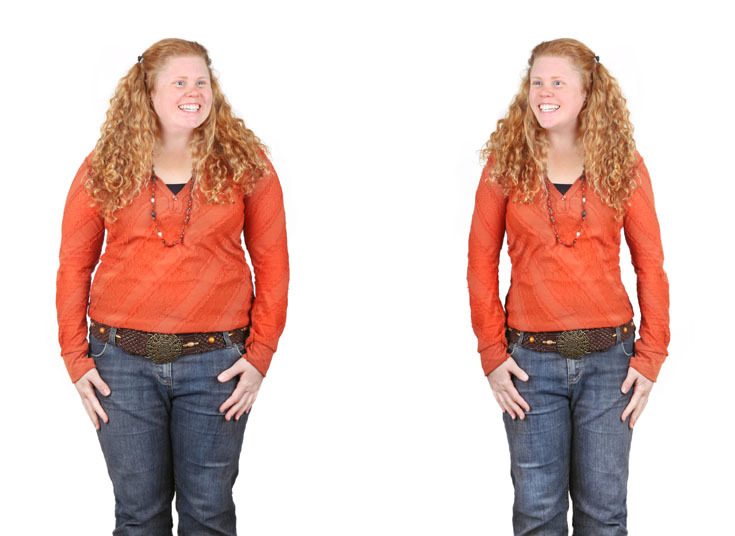 Gastric bypass surgery is utilized for morbidly obese patients. It is used to treat obesity and the conditions that can accompany it, such as sleep apnea, high cholesterol, arthritis, diabetes mellitis, hypertension, bladder incontinence and heartburn. A non-surgical alternative to gastric bypass surgery is traditional diet and exercise. Adjustable gastric banding (Lap-Band) is a surgical alternative to the procedure. Gastric bypass surgery is performed with general anesthesia, which means that the patient is asleep and completely unaware during the procedure. Possible risks of gastric bypass surgery include infection, bleeding and a negative reaction to anesthesia. Other complications can include an incisional hernia and injury to nearby digestive organs. The prognosis for a positive end result following gastric bypass surgery is good at medical centers that specialize in the procedure. Recovery for gastric bypass surgery takes about three to five weeks, but the lifestyle changes are indefinite.